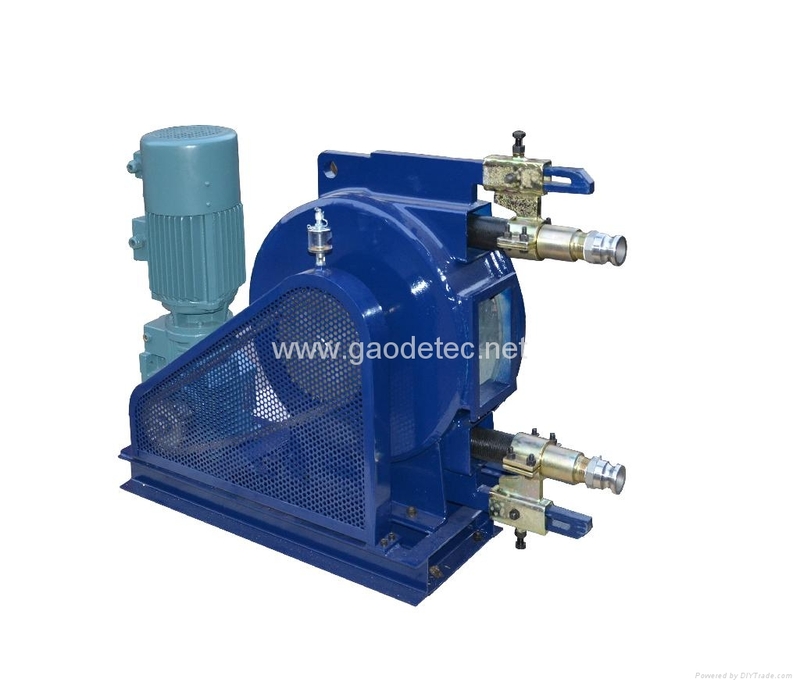 GH series hose pump (squeeze pump) consists mainly of pump house, rotor, roller, idle roller, squeeze tube and driving unit. 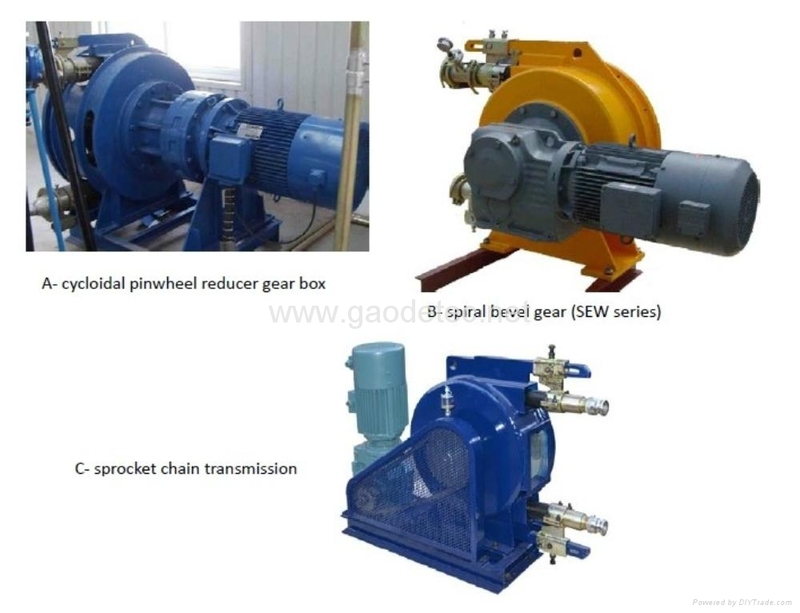 The squeeze hose is U-shape in pump hose, when rotor drives roller to rotate, hose is deformed. After the roller rotate, the deformed hose recover by its elasticity. Thus the negative pressure in this hose is generated, sucking slurries, and discharging through outlet under roller’s push, finally forms pressure conveying of slurries. 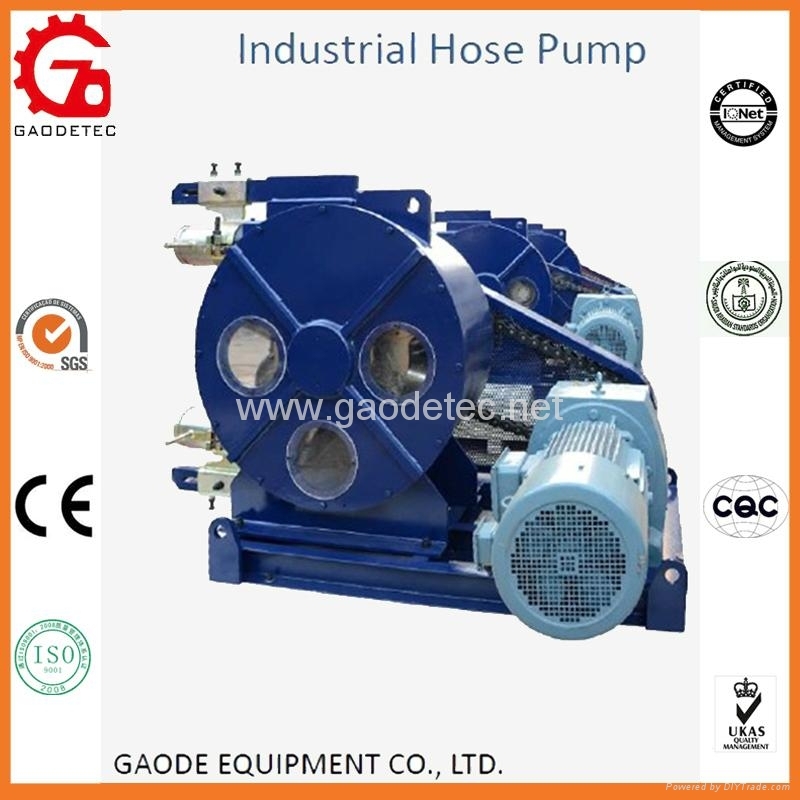 Since 1998, we have become main supplier of pump head for one of world’s famous hose pump manufacturer. 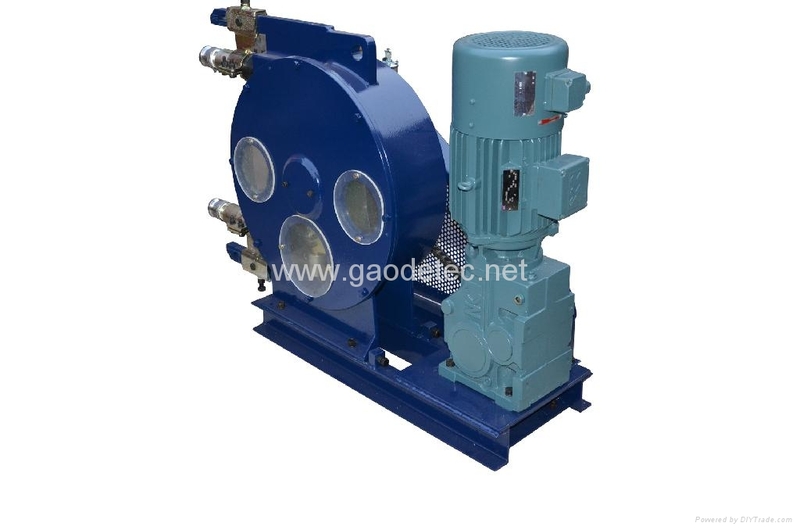 From recent years, we are also providing matched hose pumps for TBM machine manufacturer in China. Our hose pumps are widely applied in architecture, underground construction, petrochemical industry, metallurgy, food industry, ceramic, mining, water treatment, pharmacy, and papermaking. High quality precision made hose pump tube, using the very highest quality compounded rubber materials on the market, re-enforce with multi-layers of braided nylon & a manufacturing process that ensures precise and constant dimensional tolerances at every point to the entire length of the hose. This high level of attention provides a finished hose product that delivers very high life & outstanding performance. 1. Q: What's the output of hose pump? 2. Q: What's the running parts? A: The squeeze hoe is the only consumpation part. Now we have three types hose for choose, Chinese hose, Britain hose, and Trelleborg hose. 3. Q: What's the filed of the pump applied in? A: Our hose pumps are widely applied in architecture, underground construction petrochemical industry, metallurgy, food industry, ceramic, mining, water treatment, pharmacy, and papermaking. Packing︰ plastic wrap, plywood case, free-gumigation, standard export packing. as shown below. Or customised.